4 Days Rwanda primate safari itinerary of sets off from Kigali and includes a visit to Volcanoes national park, famous for mountain gorillas. This 4 days tour also includes tracking golden monkeys and a visit to Iby’Iwacu cultural village for Rwandan cultural encounters. Meet with your guide on arrival at Kigali. Depending on arrival time, you may start with optional tour of Kigali city or you can do this after the trip. A visit to the Kigali genocide memorials and a local market will be offered. Afterwards transfer to volcanoes national park. The rest of the evening is free at your lodge. Accommodation: Da Vinci lodge/ Muhabura hotel/ La Bambou. At 07:15am after breakfast you head to kinigi visitor center and meet the guides to brief you about the gorillas. 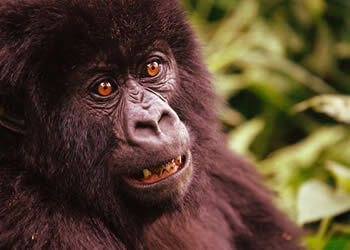 Guides will inform you that trackers are already in the forest looking for mountain gorillas. Following their trails within 3-5 hours you will have located gorillas and spend 1 hour with them taking photos and learning about their lifestyles. Return back to the lodge for lunch. The rest of the day is free. Another morning will spent hiking to the bamboo zone above 2000 meters above sea level. 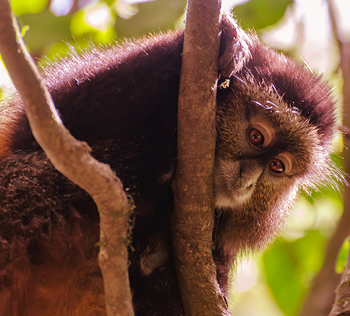 You will search in the bamboo forests in search for the golden monkeys and enjoy 1 hour taking their pictures. Return back to the lodge for lunch. In the afternoon, visit Iby’Iwacu cultural village just outside the park. You will participate in various activities such as dressing as king and queen, cooking, wood carving, food harvesting and preparation to learn about the traditional ways of life of local people in their homes. The day will end with traditional dance performances of Rwandan people.